Will you walk for a prize? My teacher, mentor, friend and super inspiration, Katy, is brilliant. If you are my student you probably hear me say Katy is brilliant at least twice each workout. Or you ask me: “What does Katy think?” at least twice each workout. Because, well, she is able to make the ordinary, extraordinary. 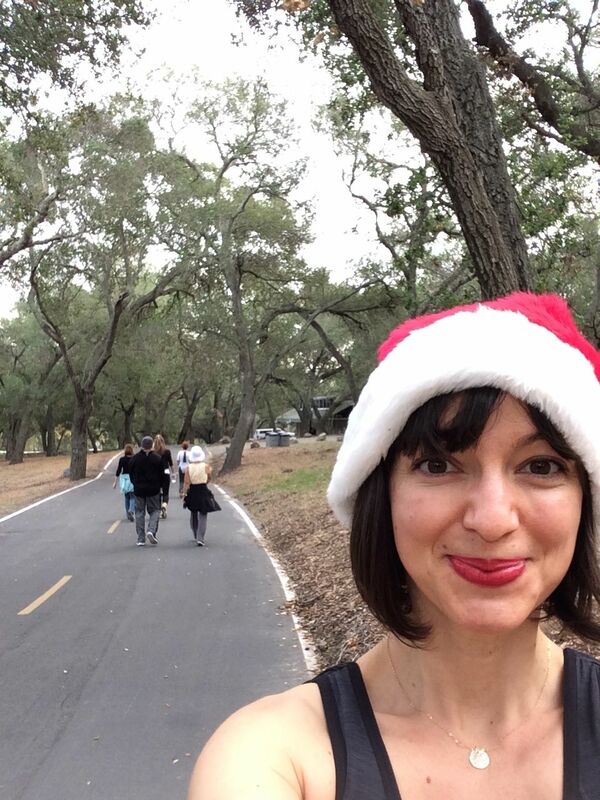 Take Christmas and walking – two things that normally have nothing in common, until Katy comes in the picture. Enter the walking advent calendar, where for a month, Katy posts a new walking habit to work on every day! On day 6, she posted about head position while walking. Check it out over here! Do you HEAD out on a walk, or is your head aligned over your shoulders when you walk? Tomorrow, December 9, I am partnering with Katy to bring you Advent Calendar inspiration and prizes. I will be giving away 6 webinars and a Skype session on my Facebook page, after you enter a fun contest and do something about day 9 of the walking advent calendar. Please head over to the page and like it, so you can take part tomorrow, and don’t forger to check it out early morning! Categories: alignment, news | Permalink.